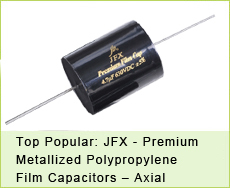 Film capacitors adopt polymer films having a thin, aluminum metallization layer. This construction is very durable and stable, with excellent electrical characteristics. Axial and radial lead types are available. 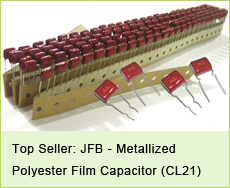 About jb Axial lead film Capacitors, the series of JFG (JFGA, JFGB, JFGC, JFGD), JFX, JSX are the most hot seller types among customers. Compared with their product performance, JSX is the best, JFX is better than JFG. 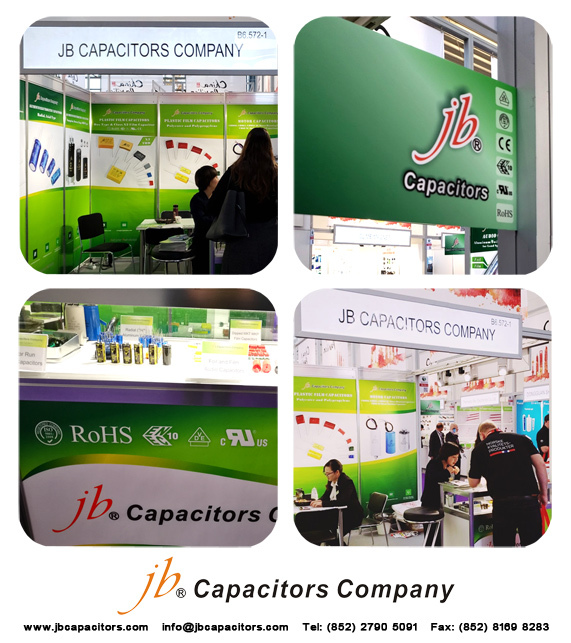 They are all widely used in the field of audio equipment, exhibiting very low ESR and inductance and handle high audio current pulses extremely well. 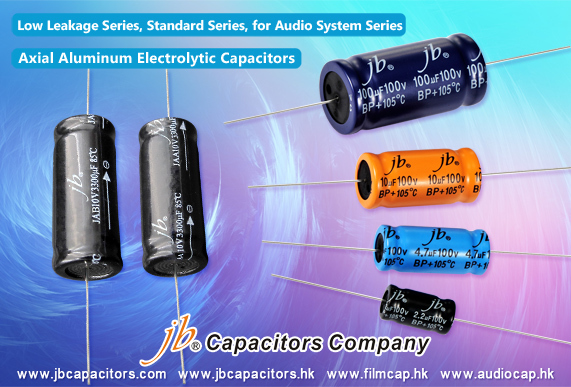 Other features are very low dielectric absorption and dissipation factors. Moreover, excellent Handling of High Current Audio Pulses with RoHS Compliant. 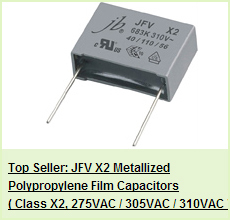 If you need Axial Lead Film Capacitors, welcome to try jb products JFG, JFX, JSX three series, we are sure one of them will suit your application. Any question or enquiry, please feel free to contact us!